SOUNDSCOOPZ! 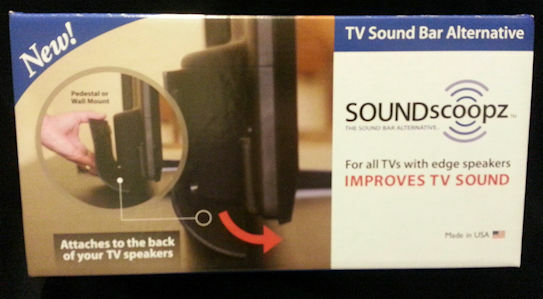 The NEW affordable way to improve the sound quality on your flat screen TV. No more muffled conversations or EXPENSIVE $$$ sound bars. No wires, no power...no hassles. Many of us now have flat screen TV's. Did you know that the sound speakers on your flatscreenTV actually POINT DOWNWARD from the bottom of the TV? We were shocked--it's true. It's the most ridiculous set up, but it seems to be industry standard. As a result we often hear muffled voices and lack of tonal clarity. 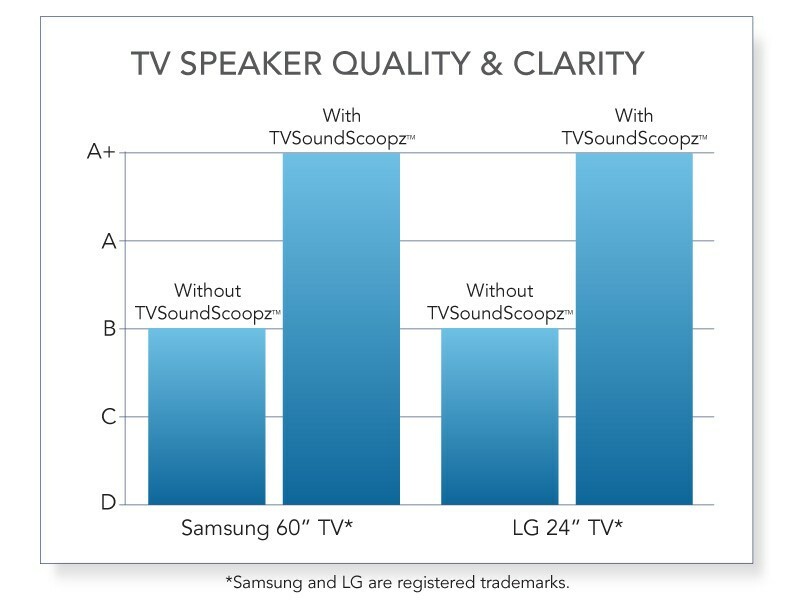 Introducing TV Sound Scoopz-- a highly affordable solution. 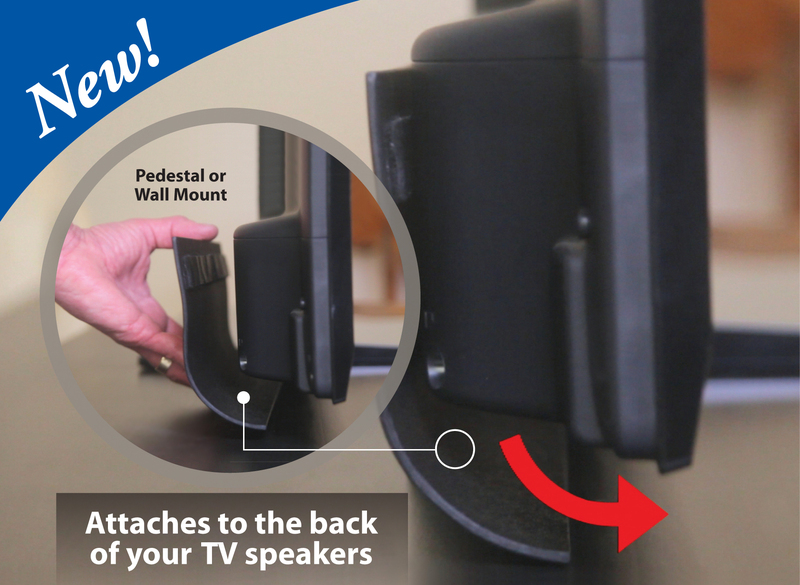 TV Sound Scoopz are two curved plastic pieces which install easily to your flat screen TV using velcro tabs. The sound is now directed outward to the viewer resulting in better sound quality. Strictly USA recently received a set of TV Sound Scoopz and we love them. It does make a difference! 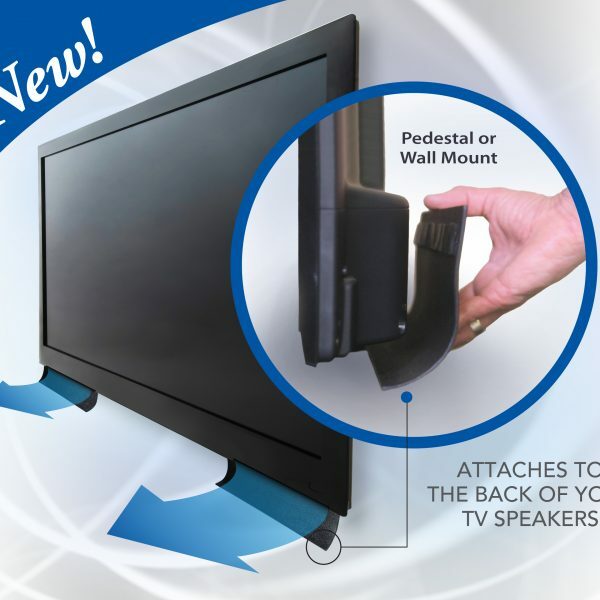 Its a very affordable solution to a nagging problem with nearly all flat screen TV's. Of course, the entire product is MADE IN USA from start to finish! SOUNDSCOOPZ RECEIVED AN A+ IN SOUND QUALITY TESTING BY AN INDEPENDENT LAB.